You are here:Home » Category: "Oral Cancer"
Hi, this is Dr. Antolak at thegentledentist.com in Shelby Township, Michigan. What I’d like to discuss today is oral cancer and cancer in general, and its effect it has on the mouth. When someone is diagnosed with cancer, it’s obviously a horrible time usually for families dealing with this potential life ending illness. When that takes place, a lot of things have to be done and the oncologist that you go to, hopefully will be really privy and aware that during any radiation therapy that’s done or even chemotherapy, these are intended to kill off cells in the body, fast growing cells. Cancer cells are obviously fast growing cells. Fast growing cells are also hair cells or hair follicles, and saliva glands that are in your mouth. When chemotherapy and radiation therapy takes place, that’s why people go without hair but also their mouth dries out. So what are the implications of having this take place for the patient? I believe what’s very important is that when someone is diagnosed with cancer that they really get a thorough dental examination. Hopefully your oncologist will recommend a dentist to you and what’s important is getting this done in a very quick fashion. The reason why that is, is because they want a get on to that therapy pretty soon. Well, if the mouth is not taken care of, if there are bad teeth in the mouth that seem to be problematic, because the fact that when salivary glands are knocked out it causes so many problems. You have a significant potential for getting cavities. Is if a tooth is as bad as it is, that cavity will just get worse. The problem is you can’t just take a tooth out when someone is on chemotherapy. If you do, because the immune system is really suppressed, there is a risk of having many, many potential complications from that. The best way of dealing with this is taking care of all these urgent needs right away while the body has the ability to heal itself before it gets struck with all this chemotherapy and these very, very difficult days that would lay ahead. Dry mouth because of the lack of saliva is another issue that takes place. But also there are many other things that can take place. For example, I put this brochure together. Increased chance of cavity, loss of taste, pain in your mouth. Of course, infections are much more prevalent. So if you have gum disease, there might be an election to have teeth removed just so that, that area’s sealed off, and there’s no infection to the jawbone. You get jaw stiffness from this, and you get changes in your bone. So if there’s questions about that you can feel free to call me but I really recommend talking to your oncologist or your nurses who treat you or your loved one who will be going in for this care to make sure that there’s no potential of having a problem. If you’re not really current with your dental care please get in to see us or get in to see your own dentist if you have one because that itself could be a really challenging time for you. If you have questions about oral cancer and its effects on your mouth, my phone number is (586) 247-3500. The website is thegentledentist.com. Our dental office is in Shelby Township, Michigan. Thank you, and God bless. Hi. My name is Dr. Robert Antolak, the owner and president of The Gentle Dentist located out in Shelby Township, Michigan. What’s a really important topic is for people who have been diagnosed with cancer. Cancer, especially head and neck cancer, is something that is fairly prevalent. And one very important facet of when someone has been diagnosed with cancer and they’re supposed to be having either radiation therapy or chemotherapy is to go on and have their dental care taken care of right away, before they start. Especially when they start radiation therapy. Especially if it’s above the head and neck area. The reason why it’s important to have your dentistry done before you go in for therapy is that the body, because of the fact that radiation is going to end up slowing and even killing off all the salivary glands and the that produce saliva. Saliva is important to keep your mouth hydrated and wet, which prevents cavities. It’s also very important because when you do that, you can get a ton of pain in your mouth. And an infection that’s very very common for people who have had oral cancer, and who’ve had treatment with that. So, if a tooth has to come out, because it’s a bad tooth, we need to extract it before starting into therapy. Because once they start the therapy, your body’s immunity is really suppressed. You don’t have that ability to, to heal like you can. So, if teeth ever have to be removed afterwards, it’s a nightmare, it’s very difficult and it’s pretty risky, for having much more signifigant problems after that. So, when we do that we can, we can either extract your teeth, and the beauty of our office is we do, I do all phases of dentistry. So we can extract the necessary teeth if you need fillings on teeth we can do that, if we need to clean them we want to get that done very quickly after you’ve been diagnosed and then after that point on you can get your therapy doneand then work it out so that things are much more manageable at that point. There’s a couple things that are important to know to aid in the problems with the dry mouth even afterwords is to use sugarless products, drink plenty of water, make sure you use fluorides that help to refluoridate your teeth, and avoid soda pop. That’s really a bad thing, that your mouth is dry. So you have to do these necessary things. The key is to get in before you start your chemotherapy or radiation therapy. So our dental office is located in Shelby Township, Michigan and our phone number is 586-247-3500 and our website is thegentledentist.com. Thank you and have a blessed day. I have recently seen with friends of mine or patients who have become smoke free after years of smoking and I see the positive effects this process has had on their lives. I want to pass on some information for the Shelby Twp, Macomb county area people who read this blog and who are tired of the control that smoking has on your life. To quit it usually takes a plan and commitment to stick to the plan for the changes to take place with any consistency. For those who smoke or live with a smoker I would like to expand on living a smoke free life in this month’s article. According to the American Heart Association, about 46 million American adults smoke cigarettes. This breaks down to 23 percent of adult men and 19 percent of adult women. Most smokers are either actively trying to quit or want to quit. Since 1965, more than 49 percent of all adults who have ever smoked have quit. Leading a smoke free life: Smoking and using spit tobacco are habits that significantly affect one’s health and well being. Cigarette smoking causes 87 percent of lung cancer deaths. Lung cancer is the leading cause of cancer death in both men and women. Smoking is also responsible for most cancers of the larynx, oral cavity and pharynx, esophagus, and bladder. According to the Surgeon General: Cigarette and tobacco smoke, high blood cholesterol, high blood pressure, physical inactivity, obesity and diabetes are the six major independent risk factors for coronary heart disease that you can modify or control. There are many oral conditions that are negatively affected by tobacco use which include: periodontal disease, healing with dental implants, oral surgery and high risk for oral cancer. After one year off cigarettes, the excess risk of coronary heart disease caused by smoking is reduced by half. After 15 years of abstinence, the risk is similar to that for people who’ve never smoked. In 5 to 15 years, the risk of stroke for ex-smokers returns to the level of those who’ve never smoked. Male smokers who quit between ages 35 to 39 add an average of 5 years to their lives. Female quitters in this age group add 3 years. Men and women who quit at ages 65 to 69 increase their life expectancy by 1 year. In any method used to be smoke free the person really needs to want to quit. The motivation needs to come from within rather than from an outside source such as a spouse. It needs to be done for yourself and as a result of your effort others will benefit. Both acupuncture and hypnotism can effective non-drug methods used to be tobacco free. There is little scientific evidence that shows these methods are more effective than the use of pharmaceuticals. For those patients who desire a more holistic approach these methods may be for you. 1. Chantix binds to nicotine receptors and blocks them so that nicotine can no longer activate those receptors (an effect that pharmacologists sometimes call an antagonist effect). This means that when someone is trying to quit and they lapse and smoke a cigarette, they probably won,t get much satisfaction from smoking it, and will be less likely to smoke another. The take-home message for patients is that it still makes sense to select a target quit-date (day eight) and to try to quit smoking completely on that day. However, if you don’t immediately quit don’t give up on yourself or on the medicines. The evidence suggests that if you keep trying you will likely achieve abstinence, and that Chantix improves your chance s, so long as you keep trying and keep taking the medicine. On the other hand, it is important to be clear that the aim of the game is to quit completely, and it is better in the long run to throw away the cigarettes and get on with it. Â It is exciting for us to team up with those who want to get control of their lives and finally be smoke free. Give us a call at (586) 247-3500 or email me at DrAntolak@TheGentleDentist.com for more information on this or previous articles.Â Please submit questions you may have about dental related topics to the same address on the internet. If you would like to write us, out address is 15055 22 Mile #2, Shelby Twp. MI 48315. Dr. Robert Antolak practices implant, cosmetic and general dentistry in a relaxed “homey” environment where you areÂ made to feel like family. The effects of cancer treatment on the mouth can be quite severe! Most people realize the side effects of radiation and chemotherapy which are hair loss and nausea, but 1 out of 3 people develop problems with the mouth during and even after treatment. These complications such as dry mouth or life threatening infections may interfere with cancer treatment or diminish the quality of living and eating. It is therefore important to have a qualified dentist as part of the oncology team who can manage and prep the patient’s mouth in anticipation of these complications. This preoperative care for the cancer treatment is a vital part in a comprehensive approach to overall patient comfort and satisfaction. Cancer treatment kills fast growing cells and saliva producing cells are one of the fast growing types. As a result, cancer patients can have extremely dry mouths eliminating the lubrication, re-mineralization, and healing enzyme properties of saliva. Dental cavities, infection of the soft tissues, periodontal disease and other dental diseases are exacerbated and made worse when saliva is either reduced or eliminated. Therefore it is critical to involve your qualified dentist to treat decay with fillings, treat periodontal disease, extract hopeless teeth and either remake or reline poorly fitting dentures. If at all possible your first dental visit should be at least 1 month before cancer treatment begins to give the treating dentist enough time to complete treatment. Once the cancer treatment begins it is too late to have the dental work done because the bodies healing capacity and ability to fight off infections is greatly reduced if not stopped. Since the mouth is full of disease causing bacteria any potential dental problem that can be foreseen should be treated immediately with enough time to heal completely (around 14 days) before cancer treatment is started. Open wounds, infected teeth and the like can be seeds to serious problems. Any elective oral surgery such as implant placement should be postponed until after cancer treatment is completed. Soft plastic trays can be used to hold fluoride to prevent tooth decay. These are to be used during the night to re-mineralize the teeth. Even if you have questions about this topic or if you or a loved one is to be starting cancer therapy you can call me or visit the office to discuss your questions. If you are involved with a cancer support group and would like to have me speak to them about oral care before, during and after cancer therapy you can email me at DrAntolak@TheGentleDentist.com. I am also available to talk with support groups or even patients who are about to begin cancer treatment. Dr. Antolak enrolled in an advanced course with international speaker from Columbia University Dr. Kristos to continue his understanding of the latest technology in regards to using Cone Beam Technology and its relationship to human anatomy.Â He now has the ability to look at the jaws and entire head from a 3 dimensional position and to rotate around with the computer.Â Topics covered were head and neck anatomy seen on these high tech digital images.Â This not only benefits this base of knowledge, but those patients who have the need for the cone beam CT Scan technology.Â The diagnosis of tumors, dental diseases, lesions and normal anatomy.Â He also had a great review of Oral Pathology so you can be assured of a significantly accurate treatment when you become a patient of the office. This sensitive technology gives him the chance to diagnosis life threatening diseases like hardening and calcifing of the arteries, tumors, cancer.Â The most common reason for these computerized scans is to gain information for implant surgical placement andÂ sinus augmentation surgery.Â Because the scans are so accurate these surgeries become much more predictable.Â Â Â Normal panoramic xrays only show a flat image and have built in inaccuracies in maginfication. This article is from the Academy of General Dentistry newsletter that I get and thought it was valuable for men. 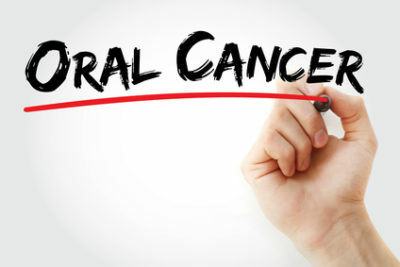 Each year, cancer of the mouth (oral cancer) develops in 30,000 people in the United States and causes 8,000 deaths, mostly in people older than 50. (That is almost 1 person per hour). It is the sixth most prevalent cancer found in the United States with a five year survival rate of only 50%. This death rate is higher than cervical or melanoma cancers, yet there is very little attention given to it by the media. Combinations of the lack of awareness, infrequent dental visits and/or lack of a system for early detection by the health care professional contribute to the relatively morbidity rate. When you visit your dentist or physician are they checking for this deadly disease? Because early detection vastly improves the likelihood of cure, screening for oral cancer should be an integral part of medical and dental examinations. Cancerous growths less than ½ inch across (about 1¼ centimeters) usually can be cured. Unfortunately, most oral cancers are not diagnosed until they are larger and have spread to the lymph nodes under the jaw and in the neck. Because of delayed detection, 25% of oral cancers are fatal. A hereditary factor, although not yet well understood, makes certain people more susceptible to developing oral cancer. The two greatest controllable risk factors for developing oral cancer are tobacco and alcohol use. Tobacco use—including smoking cigarettes (particularly more than 2 packs per day), cigars, or pipes; chewing tobacco; and dipping snuff—accounts for 80 to 90% of all oral cancers. Cigars and cigarettes are equally dangerous as risk factors in the development of oral cancer, followed in descending order by chewing tobacco and pipe smoking. Oral cancers are usually painless for a considerable length of time but eventually do cause pain. Pain usually starts when the cancer erodes into nearby nerves. When pain from cancer of the tongue or roof of the mouth begins, it usually occurs with swallowing, as with a sore throat. The early growth of salivary gland tumors may or may not be painful. When these tumors do become painful, the pain may be worsened by food, which stimulates the secretion of saliva. Cancer of the jawbone often causes pain and a numb or pins-and-needles sensation (paresthesia), somewhat like the feeling of a dental anesthetic wearing off. Cancer of the lip or cheek may first become painful when the enlarged tissue is inadvertently bitten. Diligent, routine examination of the mouth is the best strategy for finding cancerous and noncancerous growths. Avoiding excessive alcohol and tobacco use can greatly reduce the risk of most oral cancers. Smoothing rough edges from broken teeth or fillings is another preventive measure. Because this is a topic rarely discussed I thought the information would be of value to the readership. Most of the above information comes from the Merek manual. As advised, make sure your dentist is checking your mouth for oral cancer and if they don’t ask them why not? If you have any question or concerns I would be happy to perform a complimentary cancer check for you. Please submit your questions to Dr. Antolak by: email- DrAntolak@TheGentleDentist.com, calling us at (586)247-3500, fax-(586)247-1211 or by writing us at 15055 22 Mile #2, Shelby Twp. MI 48315.